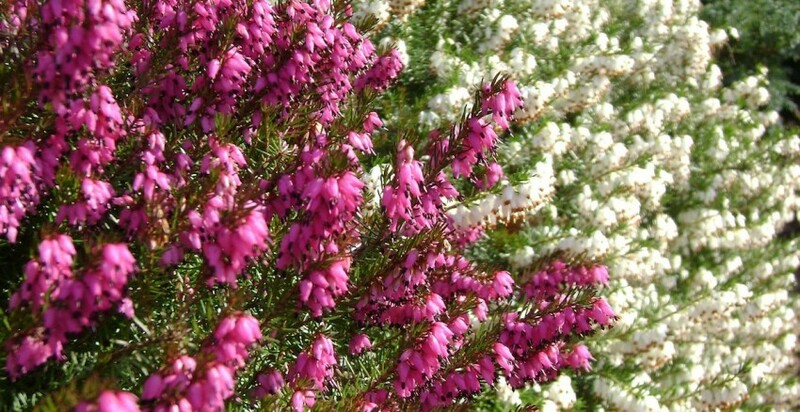 When I think of the word ‘Erica’ a few things come to mind – who could forget Erica Roe, the Twickenham streaker, Lou Bega’s Mambo No5 with ‘a little bit of Erica by his side’ and finally the under-sung Erica plant with its fabulous winter flowers (known popularly as heath or heather). But did you know that the innocent-looking Erica plant hides a saucy secret that has seen its sales through garden centres soar over the last couple of years? An accidental discovery by a gardener in Berkshire has found that winter flowering heather has a similar effect on men as Viagra. This claim has been verified by botanists at the Royal Botanic Gardens, Edinburgh. Apparently, (I haven’t tried it myself!) it is said that the Viagra-analogue is extracted by soaking the flower heads in alcohol; although, there is still some division of thought as to whether there are better results from a topical application or oral consumption! Believe it or not, particularly potent are forms of Erica carnea which are commonly found in garden centres near you! Reproduction seems to be a common theme for this plant as it is particularly magnetic to bees and flying insects, providing winter nectar and a great early pollen source for our ever diminishing bee population. Heather and bees have long gone together – think of the bee keepers who still take their hives to the heather moors in August to get that special crop – heather honey. But it isn’t just bees that benefit. Many heathers provide an important food source for butterfly and moth species too. Some varieties of Erica plants flower all winter; this can bring much needed colour to otherwise dull winter gardens. The foliage of these plants comes in a wide variety of colours including a range of greens (dark, lime, mid or sea), golden and yellow tipped. The delicate, bell-shaped flowers can be snow-white, lavender or bright pink. A variety that is of particular interest at this time of year, due to its dark green leaves and its intense pink flowers, is Erica carnea ‘King George’. This hardy Erica is compact and will flower right the way through from December to April. ‘Golden Starlet’ has white flowers and blooms from December until March, its yellow foliage turns lime-green in the winter and reaches a height of 15cm (6ins). Even more striking tones can be found in cultivars such as ‘Myretoun Ruby’, which delivers magenta/crimson flowers and dark green foliage from January until May or alternatively cultivar 'Nathalie' yields red flowers with dark foliage from January until April and can reach a height 25cm (10ins). Easy to care for and great in pots, Erica offers the potential for loads of fun, both inside and out! What sort of winter are you having? It all depends on where you live, but for some of us the appeal of a foreign skiing holiday would certainly wear thin when shovelling snow has become a daily chore. Although of course the winter conditions can be tough, it would take a hard heart to deny the beauty of frost-encrusted trees, or frozen waterways. Even the plainest street is transformed into somewhere magical under its blanket of new-laid snow, and when the thaw comes we appreciate afresh the variety of ‘normal’ colours we take for granted the rest of the time. New Year’s resolutions have a habit of being put to one side not too far into January, but why not make a pledge you can keep to this year? Make it your commitment to do something new in the garden every month of the year. It doesn’t matter what it is, as long as you’ve never done it before. Just make sure it’s legal, moral and not fattening, which will cut down the possibilities a bit, but in any case, have a great 2013!